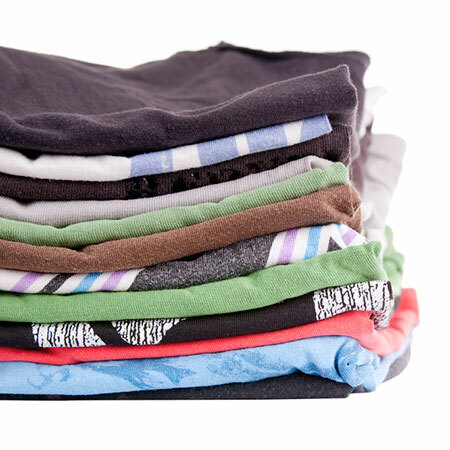 ATLANTA — While roughly 60% of U.S. coin laundries offer some form of fluff and fold services, based on a recent survey by the Coin Laundry Association, an estimated 15% of dry cleaners do. That means there’s a tremendous opportunity for cleaners willing to offer this ancillary service, says Beverly Blank, who ran a successful wash-dry-fold business in the Los Angeles area for more than a decade. Speaking during a Clean 2015 educational session sponsored by the Drycleaning & Laundry Institute, Blank laid out her concepts for developing a money-making service. As for equipment needs, Blank favors the use of two or three front loaders per order. Finally, she described several options for offering fluff and fold service, including processing the work at your drycleaning site, doing it at a nearby coin laundry, or subcontracting the work. Perform Service On-site — “Doing fluff and fold at your own store will probably generate the most profits, but it requires the most [investment],” she says. You’ll be able to maintain complete control of the process and develop a satisfied clientele that will tell others about your work, she explains, but you’ll need more staff, floor space and equipment to achieve this. Wash supplies, marketing and extra utility usage would be among the additional expenses. Perform Service at Nearby Laundromat — Advantages would be no additional equipment cost or labor expenses, but any profit would be reduced by having to pay the retail price to use another company’s laundry equipment, plus one may see productivity sag because staffers are unsupervised, she says. Farm Out the Service (A) — Contract with a company that performs the fluff and fold service for your company. You’ll not incur added staff, utilities, etc., but the delivery costs as part of the contract will eat into any profits to be made. Additionally, you’ll have little control over the provider’s performance. Farm Out the Service (B) — Contract with a company that processes the fluff and fold goods, but you handle all customer pickup and delivery. Here, you maintain greater control of the process and serve as the face of the service. Exchange of Services — Blank’s business partnered with a local dry cleaner in an exchange of services. Perhaps there is a possibility of reaching a mutual agreement with another business in your area, she says. “We started out in 2001 at $1.50 a pound with a 20-pound minimum,” Blank says. “I now do up to $4 or $5 a pound. … There are many, many places where you can market both your dry cleaning and your fluff and fold, and I think people are leaving a lot of money on the table,” she says.